Askew’s low-tech idea file consists of a large box into which he throws notes jotted on napkins, offbeat news stories emblematic of broader trends, intriguing studies or statistics and clever advertisements. This work usually pays off handsomely down the road. For example, he stumbled across a statistic mentioning the highway with the lowest average speed in the world: the Autobahn in Germany, which most would associate with having the fastest speed. Although people sometimes drive at speeds exceeding 150 mph, when there is an accident on the Autobahn – of which there are many – traffic is backed up and idling for hours, making for the lowest average speed. While elite speechwriters have varied writing habits, there is a recurring theme: Most suggest getting your core thoughts and ideas down in some form before putting your critic’s hat on. The key is not to edit yourself too early in the process, lest you get stuck at the starting gate. Like many professional speechwriters, Askew often squirms when asked by clients to provide an outline before writing a speech. He prefers to write a one-page speech summary, what’s known in the field as a “destination” document. “It communicates the gestalt of the main point, the feel, tone and what it is you are trying to achieve with the speech, or the central metaphor you want to use,” Askew says. Although many professionals opt for a more free-flowing, stream-of-consciousness approach in writing a first draft, some won’t move forward until they’ve honed their first page or two to near perfection. Capture the audience early, this thinking goes, or prepare to lose them quickly. “I am tortuous about the first page, super tortuous about the first paragraph and insanely tortuous about the first sentence or two of every speech I write,” says Askew. Don’t think the terror of confronting a blank computer screen is limited to amateur or part-time speechwriters, says Green. Even veterans like himself experience writers’ block. One key to overcoming it, he believes, is to simply get started, letting the first draft “pour out like cheap champagne” without being overly critical of what’s appearing on screen. “When I first began writing, I had to make every sentence perfect before moving on to the next,” he says. “It took me years to be able to write in a more organic, freestyle method.” If a thought or idea occurs to you, Green suggests getting it up on the screen somewhere, even partially formed, with the knowledge that it will eventually get incorporated and revised in a way that makes sense. It’s easy to fall into the trap of using PowerPoint, the omnipresent and user-friendly presentation design software, in a way many speakers do today: with bulleted lists and text-heavy slides serving as the centerpiece of a presentation. Yet because that’s what many audiences have come to expect – speakers leaning heavily on PowerPoint as a crutch by “reading from the screen” – it also represents a missed opportunity. Green, for one, promotes more creative uses of speaker support as a way to help his clients’ messages stand out from the pack. In one 40-slide speech Green developed for a client on the value of innovation, some 60 percent of the slides featured one-liners making a provocative statement or question, and the rest contained optical illusions that enforced the idea of looking at things from different perspectives. “It allowed the speaker to create a break in the flow of his comments and create a sense of ‘chapters’ by having these interesting visuals,” says Green. Whatever process you choose to research, write or revise a speech, it pays to remember a golden rule of speechwriting: Audiences don’t want to know how much you know, they want to know what they can do with the knowledge you’ve accumulated. Dave Zielinski is a freelance writer who divides his time between Wisconsin and South Carolina. David Green, president of Uncommon Knowledge, an executive speechwriting company in New Jersey, offers three rules for virtually any speaking challenge – rules he says will help any audience sit up and take notice, for the right reasons. The audience has expectations. If they’ve heard you before, they think they know what to expect. If they haven’t heard you, they group you with other keynoters or speakers they’ve heard from your industry. Green says you have to break through their preconceptions. If everyone else is using text-heavy PowerPoint support, consider using dramatic photos. If everyone else is forecasting the future of your industry, focus on eye-opening lessons from the past. If your public persona is fire-breathing, use a more “fireside” style. You’ve seen them all. Text-flooded PowerPoint slides that look like pages of a book. Charts dense with information, with typeface reduced to barely readable size so it all fits on a slide. 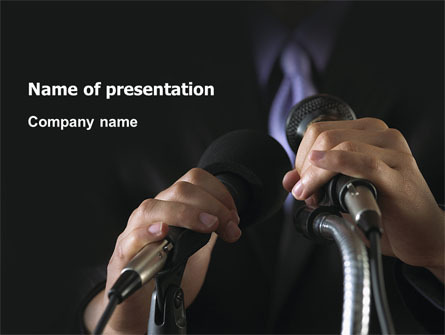 If you must use PowerPoint, use it as an outline only to prompt your memory and give your audience a roadmap. After all, it’s not your software giving the speech – it’s you! A speech is live theater. You don’t have to entertain, but you do have to tell a compelling story. The audience is not out to get you…usually. But they won’t hang on your every word either, unless you lure them in. So know your audience – and your speaking environment. The audience will expect something different from you as a conference keynote speaker than if you are leading a panel or having a face-to-face discussion with them. Then use your best sense of what they want from you – and give them something more, or something different, or something that bends their perspective.